Please click on photo for full-size image. 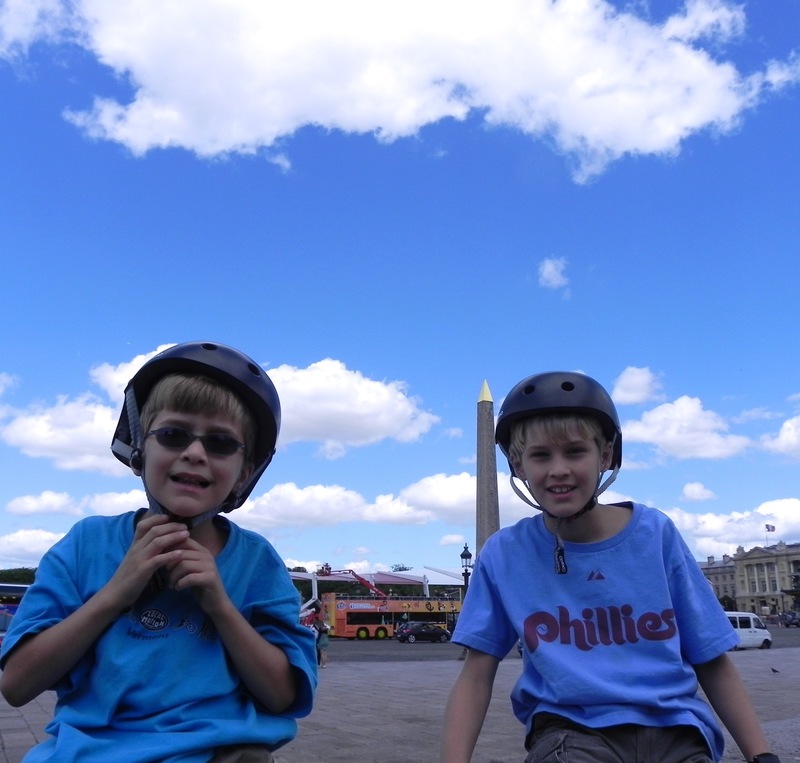 I once biked into Trafalgar Square with my children, but you never would have convinced me that I could do the same thing in the Place de la Concorde. Sure the Tour de France might end there, but I’ve seen what the traffic is like on a normal day, and without thousands of people there to cheer us on, I never would have thought it was safe. Turns out, I was wrong. Cycling Paris with kids is not only doable, it’s loads of fun as our Fat Tire Bike Tour demonstrated on our first full day in the city. We started near the Eiffel Tower and made our way to the Tuileries and back again – successfully navigating this busiest of traffic circles not once, but twice. What was even more remarkable was that unlike in London, we were all on our own bikes. Have I ever felt more proud than seeing my seven-year-old easily navigate himself around Paris on the back of a bicycle? I’ll have to get back to you on that one. Ooh, I am loving your Paris and France tips since we’re thinking about a trip there next year. I am definitely adding this bike trip as a “cool” way to see Paris rather than from the backseat of a car. Thanks so much for the tip.